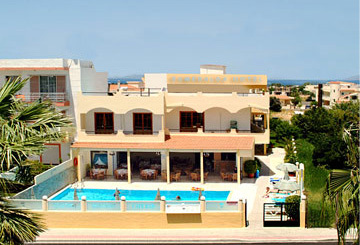 The Esmeralda Hotel is a family run property, situated in the quaint village of Kremasti, in the nothern region of Rhodes. Esmeralda is a 5 minute walk to the shingle beach. The hotel is a short journey by car from Rhodes airport, is close to Kremasti and Trianda beaches and 15 minutes drive from the historical Rhodes Town. 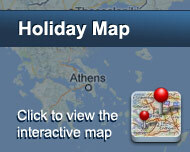 There is a variety of restaurants, bars, shops, supermarkets and banks close to the hotel. Esmeralda has its own bar and restaurant and an outdoor freshwater swimming pool. Esmeralda's bar & restaurant offers a wide range of food and drink. The bar is open from 8am through to 2am, serving local & UK lagers, sprits, coctails, and a selection of non-alcoholic and soft drinks. We have a Happy Hour every night from 8pm - 10pm. Είστε ιδιοκτήτης ή διευθυντής στο ESMERALDA HOTEL; Εγγραφείτε τώρα για δωρεάν εργαλεία, που μπορείτε να χρησιμοποιήσετε για να βελτιώσετε την καταχώρησή σας και να συνδέσετε την ιστοσελίδα σας και το σύστημα κρατήσεών σας.